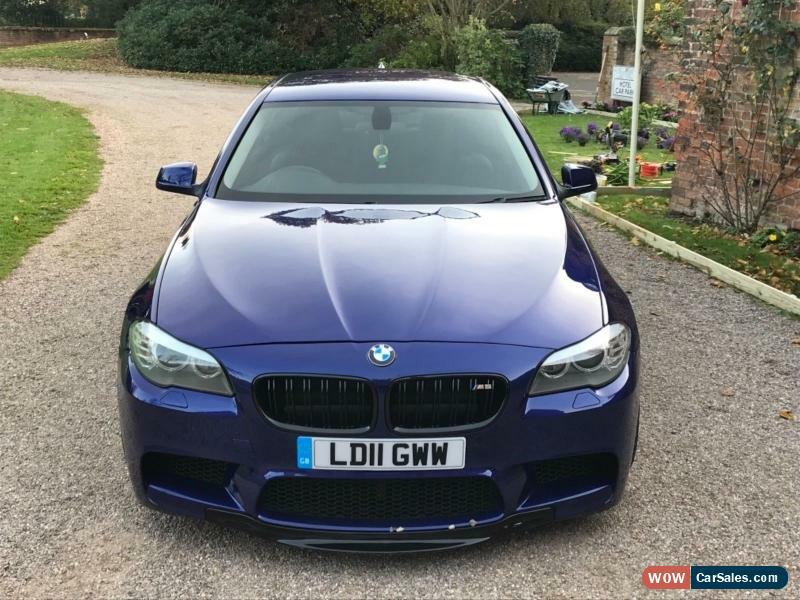 Bmw 520d se finished in individual San marino blue which comes on the new performance cars, this is the only M5 rep in this colour. Excellent condition with no dents or marks to the bodywork, all panels are excellent with no kind of damage.This vehicle started its life as 520d se model in black colour .This car has had full transformation, the car has had full m5 bodykit fitted, which consists off Front bumper, rear bumper, side skirts, wider front wings, M5 quad exhaust, black rear boot spoiler, 20" m5 alloy wheels lowered on eibach springs and to finish it all off it has been painted in individual San marino blue. The car has been painted inside out and has had brilliant job. Bodywork is an excellent condition for its age with no dents anywhere all panels are straight and dent free, All panels gleam. Interior is also in excellent condition with no rips or tears anywhere. Wheels are in excellent condition, with not mark on them. The car drives excellent, There is no knocks or bangs anywhere and pulls like train in every gear. This car gets the attention of 30k car for the fraction of the price it gets compliments everywhere it goes. Looks much better then the real thing. Airbag light is Air bag light is on and the multi function on the steering wheel is not working due to the steering angle sensor needs changing.I will try getting this fixed before the auction ends. Cash on collection will not accept no other method of payment. Please do not bid if you do not have cleared funds to purchase. Please make contact straightaway when auction finishes. All viewing before auction ends. £250 deposit as soon as auction finishes if you cannot do this please refrain from bidding. When vehicle is won and deposit is not paid straightaway car will be relisted the following day. Finally no excuses once you have won as we have heard them all before. BMW X5 4.4 V8 Auto. New MOT. FSH.